Recently certain developers got sent ad- spend data belonging to other apps and developers. This led to some awkward and uncomfortable questions being asked. 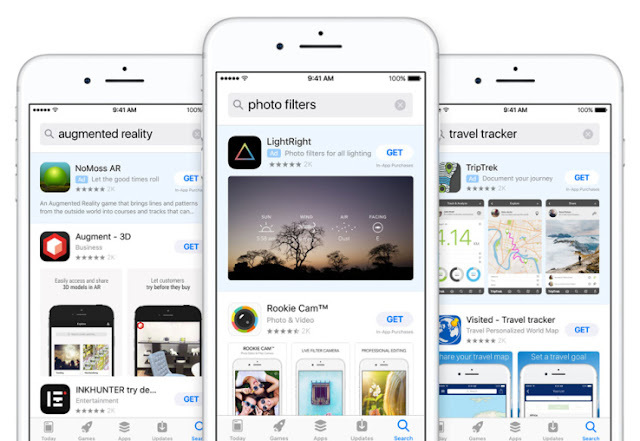 iOS developers are given a choice whether to opt in for Apple’s search ads basic service. Developers have to pay only when their app has been installed by a user. Apple, in sending the-end-of-month ad review, has also inadvertently sent details of various developer’s ad spend details to different developers. On Wednesday Apple acknowledged their mistake and issued an apology to all their developers. They also mentioned that henceforth all data pertaining to ad spend details can be obtained by the developer logging on to their account to prevent further mishaps in the future. What is Apple’s Search Ad’s Basic Service? As a developer getting your app known to the world is always a struggle. Apple helps in solving the problem to a certain limit. Search Ads basic is a service whereby, Apple advertises for a developers app in the app store, in exchange for signing up for this service as well as paying for the service as and when the app of the developer is downloaded. This is cost effective as the developer pays only when the app is installed rather that when the user is just interested and does not actually download the app. With the search Ads basic service developers get an end of month statement in which they can review the performance of their ads. They also get information such as their apps installs, average-spend per install, ads spend numbers related to their ad expenditure on the app store and more. The search ads basic service was launched in December of 2017 and is targeted at young and emerging developers to promote their apps in the app store. Their apps will be listed in the search results. This service not only promotes an individual’s app but also gives the developer’s app a chance to be seen by the users on the app store as otherwise users would not even know of the existence of such an app. What’s an even bigger advantage for developers is that they pay only when the app is installed as opposed to paying on an impression per app basis. Besides this the search Ads basic service also gives developers intelligent automation features in which results can be maximized with lesser efforts and a feature where developers can track performance on their individual dashboards. Developers like to keep all their ad spend details such as installs, their expenditure related to the ads on the app store and so forth confidential. So when they got data pertaining to other developers there was also a more than probable chance that their own private ad data was being seen by someone else. Apple realized their mistake and acknowledged their part in it by apologizing saying that the problem occurred due to “processing error” and hence forth all data will be available on an individual developer’s personal account.